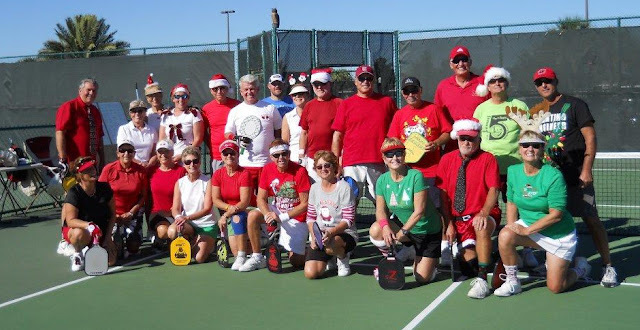 The Holi-Daze Pickleball Tournament is now an annual event with the pickleball players at the Bacall Recreation Center in The Villages, FL. Dressed in their festive attire the group poses for the camera! Congratulations to the winning team of Nancy Rush and Bob Wilkinson....Well played matches by all.